Hi everyone. 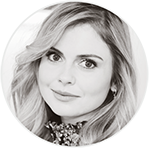 In addition to updating the gallery and the website, I had a new idea for you, fans of Rose McIver. Starting today, I put up the “Kiwi Awards”, which will aim to elect a fan per month in different categories related to Rose. Each month there will be a selection (made with Rafflecopter). I know there are only a few days for February, but I didn’t want to miss the opportunity. To participate, you just need to login using the box below. Each month, one fansite will be chose (tumblr, wordpress, facebook, twitter… everyone can enter). To enter, send me your fansite by email (rosemciversource[AT]yahoo.fr) or on twitter. Each month, one fanart will be chose (graphic, drawing…). To enter, you can send me your fanart by email (rosemciversource[AT]yahoo.fr) or on twitter.